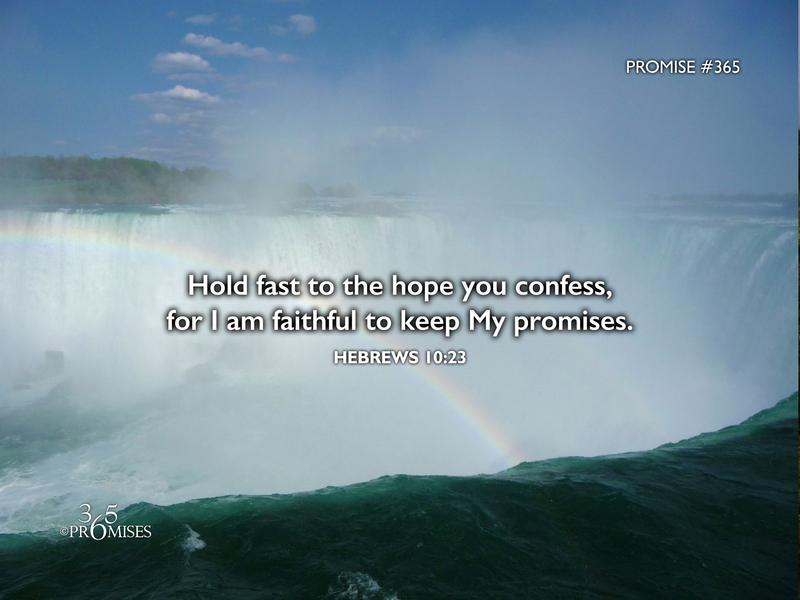 Hold fast to the hope you confess, for I am faithful to keep My promises. As we wrap up this year and look toward to a brand new year, may God give us the strength today to hold fast to the hope that we confess and not give up. Having the confidence that God is who He says He is and we are who He says we are... let us not waver in our faith so that we can keep running our race (Hebrews 12:1-2). It is so important that we keep believing that the One who has made every promise to us is forever faithful. Though we may go through times of loss and discouragement, those times do not change the truth of who God really is. Though clouds may sometimes block the sunshine so that we may not always feel its warmth, we can be assured that the sun is always shining. As you reflect on this past year and commit the New Year into the hands of your loving God and Father, may your heart be filled with hope and your mind filled with peace for our God is the ultimate promise keeper. So don't give up, hold fast to the hope that you profess, for our God is faithful to keep His promises! And so through him the “Amen” is spoken by us to the glory of God.